STILL LIFE painting of a scene I captured on film during a trip through Italy many years ago. 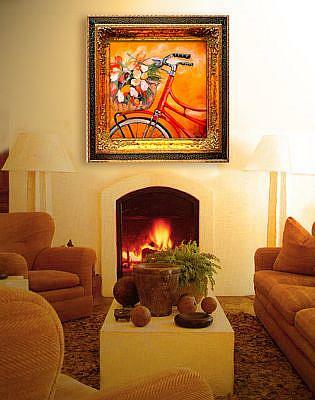 The image is one that I have cherished for many years and finally had to put it to canvas to share with ALL of YOU. 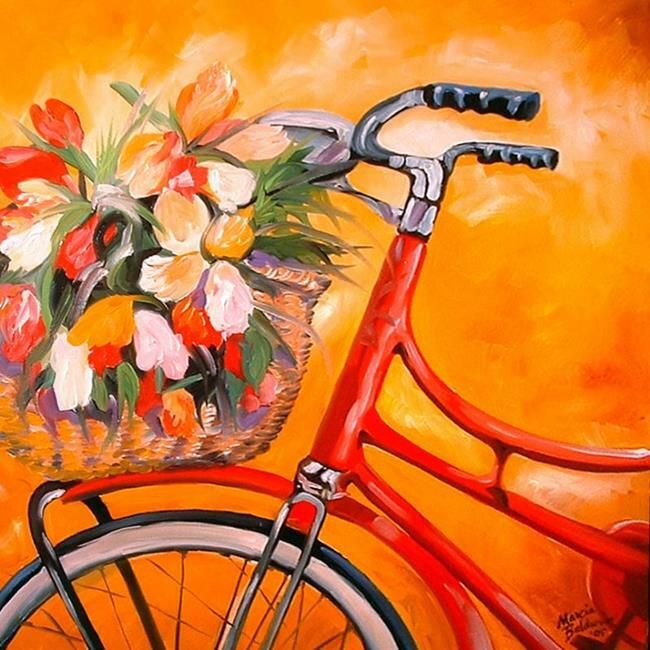 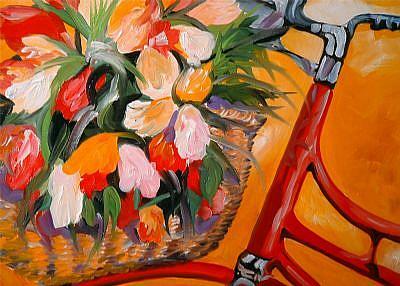 From the Popular STILL LIFE Series, 2005 by Marcia, “FLOWERS IN TUSCANY” is a ShowCase piece. 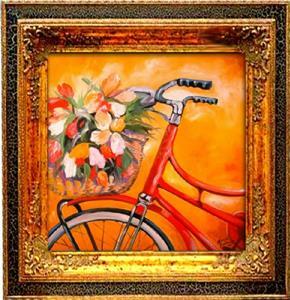 It is 20”X 20” SQUARE in SIZE, looks magnificent framed in a wide molding. Framing is not necessary though, it is on DEEP EDGED gallery wrapped canvas, and the edges are painted.